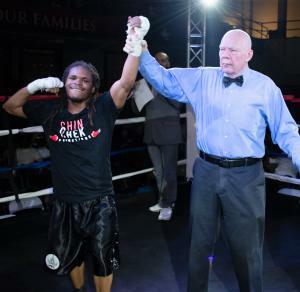 In the Chin Chek Promotions' "Super Brawl" Main Event, Indianapolis, Indiana's Super Middleweight Malcolm "Unmerciful" Jones dominated Grand Rapids, Michigan's Emmanuel Sanchez in 10 rounds of boxing at the Tyndall Armory. 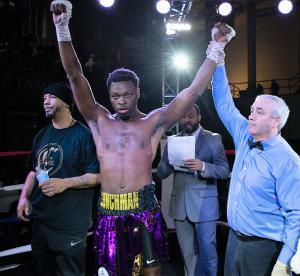 INDIANAPOLIS, IN, UNITED STATES, April 16, 2019 /EINPresswire.com/ -- Chin Chek Promotions "Super Brawl" main event featured the highly anticipated super middleweight fight between Indianapolis native son Malcolm "Unmerciful" Jones and Michigan's Emmanuel Sanchez. Jones won by unanimous decision over Sanchez in the 10-round bout. Jones, 26, the Indianapolis hometown contender, advances to a record of 13-1 winning 6 of his last 6 fights. He currently ranks among the top 25 in the USA. 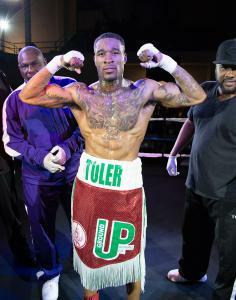 The co-main events featured Flyweights Indiana's Saleto "Mr. Personal" Henderson v. Kentucky's Christopher Nelson for 6 rounds and the NABC Great Lakes Welterweight title fight between Rakim Johnson and Pablo Sanchez for 6 rounds. Henderson won by unanimous decision over Nelson. Sanchez won by KO over Johnson. "Expect a rematch between Rakim and Pablo," said Dominic Brogan, founder of Chin Chek Promotions. "The "Super Brawl" full fight night is available on the official PPV replay on FITE.TV," said Brogan. "Chin Chek Promotions' "Super Brawl" fights was action packed," said Brogan. "It was an honor to recognize the 2019 Indiana Boxing Hall of Fame Inductee and Boxing Legend Angel Manfredy and Former World Heavyweight Boxing Champion Lamon Brewster at our show." "Chin Chek is the only consistent game in town with top notch pro boxing matches in Indianapolis, Indiana," said Brogan who has a stable of rising stars. "We will bring more fights in May." The next Chin Chek Promotions "Cinco de Mayo" is set for Saturday, May 4, 2019 at the Tyndall Armory, 711 North Pennsylvania Street, Indianapolis, IN. The event will available on FITE.TV. "Chin Chek Promotions will always provide free access to the press conference and weigh-in," said Brogan. Kenny Walker, Chin Chek Head Trainer, states, "Malcolm Jones fight on May 4th against Kevin Engel will continue to show fight fans why Jones is called the "Unmerciful." The "Super Brawl" event commentators were Kyle Knezevich, a former Golden Gloves boxer, is currently the producer/host of 107.5FM/1070AM The Fan ESPN Radio Show, "Gloves Off," and Abdullah Johnson, a Golden Gloves champion, is a three-time silver medalist in the Armed Forces Boxing Championship. Fight photos by Scott Romer and Tony Vasquez. Follow Chin Chek Promotions on social media: Facebook at facebook.com/chinchekpromotions and Twitter at twitter.com/chinchekpromo and Instagram at instagram.com/chinchek_promotions/. Use the hashtag #ChinChek to join the conversation. To interview the Chin Chek team, fighters or to apply for press credentials, contact Marie Lemelle at info@platinumstarpr.com or 213-276-7827 or fill out the form on wwww.chinchekpromotions.com. Nineteen-year-old Flyweight Saleto "Mr. Personal" Henderson outboxed Christopher Nelson at Chin Chek Promotions "Super Brawl" at the Tyndall Armory. 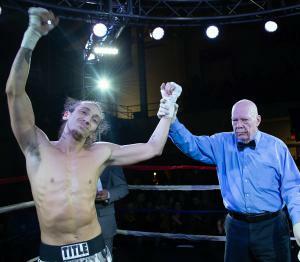 Super Featherweight Skylar Ortiz knocked out Brian Raglin in the 3rd round at "Super Brawl" at the Tyndall Armory. 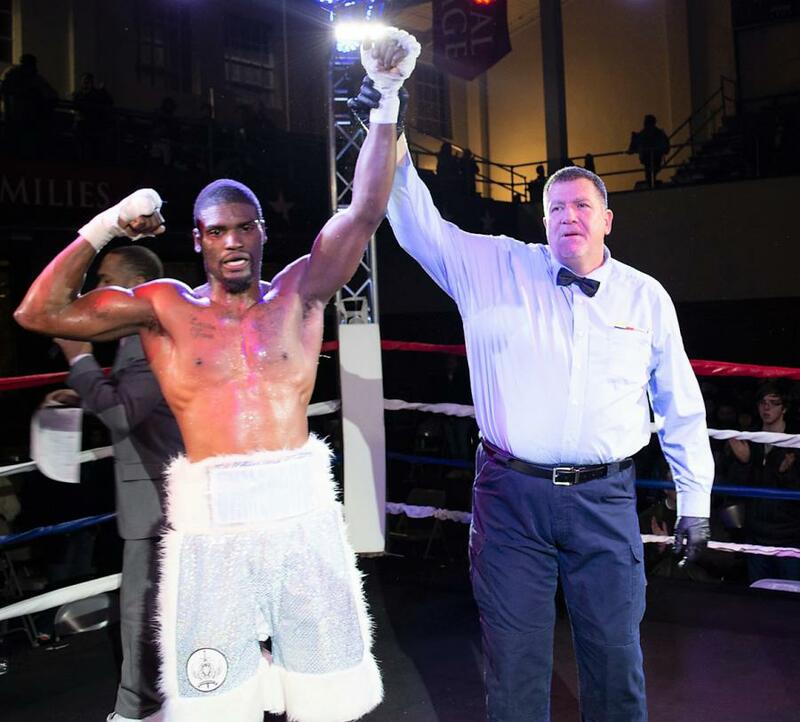 Ohio's Quashawn Toler won by TKO against Indiana's Norfleet Stitts in the 3rd round at the Chin Chek Promotions "Super Brawl." Antwan "Lunchman" Jones from Toledo, Ohio won by way of TKO in Round 2 against Fort Wayne, Indiana's Daryl Madison at Tyndall Armory.